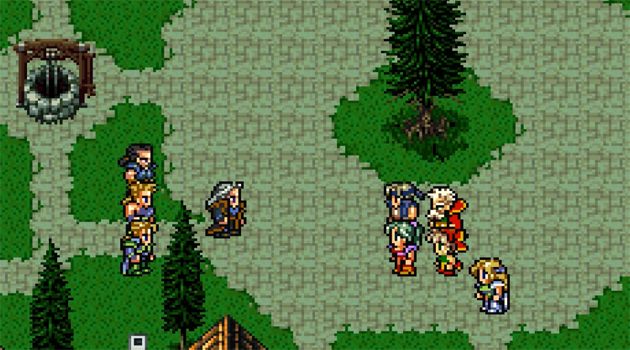 When I was maybe 15 or so, I discovered Final Fantasy III on SNES (now known as Final Fantasy VI) and fell completely in love with the graphics, the characters, and the storyline. Oh, and the music – especially the music. I even loved the chocobos (the yellow ones as well as the black variety) and have an affinity for them to this day. I played this game for dozens of hours, delving into the world as if it were a second life. Sometimes, a great amount of my time was spent grinding and just gaining as much XP as I could to be ready for whatever adventure was around the next corner. Not long after that, I received a PlayStation and Final Fantasy VII, which drew me in with its story and music. The same can be said for Final Fantasy VIII and IX as well. I lived in these worlds for a while, as I was dealing with some major real life stresses at the time. These games, in a big way, kept me going. Everything else became bearable as long as I was able to play a couple hours a day. Final Fantasy provided a safe way for me to cope with real life in my younger years, and that’s earned it a special place among my fondest gaming memories. You’ll often find me at some local coffee shop, conversing with the baristas while writing or drawing. I love being able to create; it doesn’t matter what I’m doing just as long as I get to be creative.